No more spending sprees to confess here, there are travel plans to save for, but I have been buying the odd thing if the price was right. 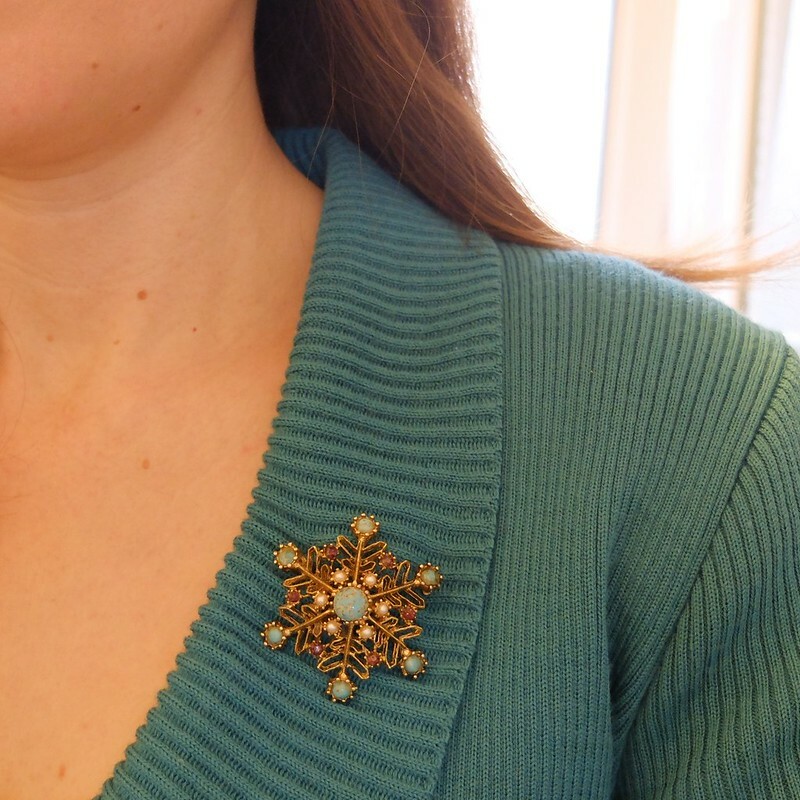 The most expensive purchase was the brooch below, £8 (far beyond my usual £2 cap on brooches!) but it is such an unusual design and I just had to have it. 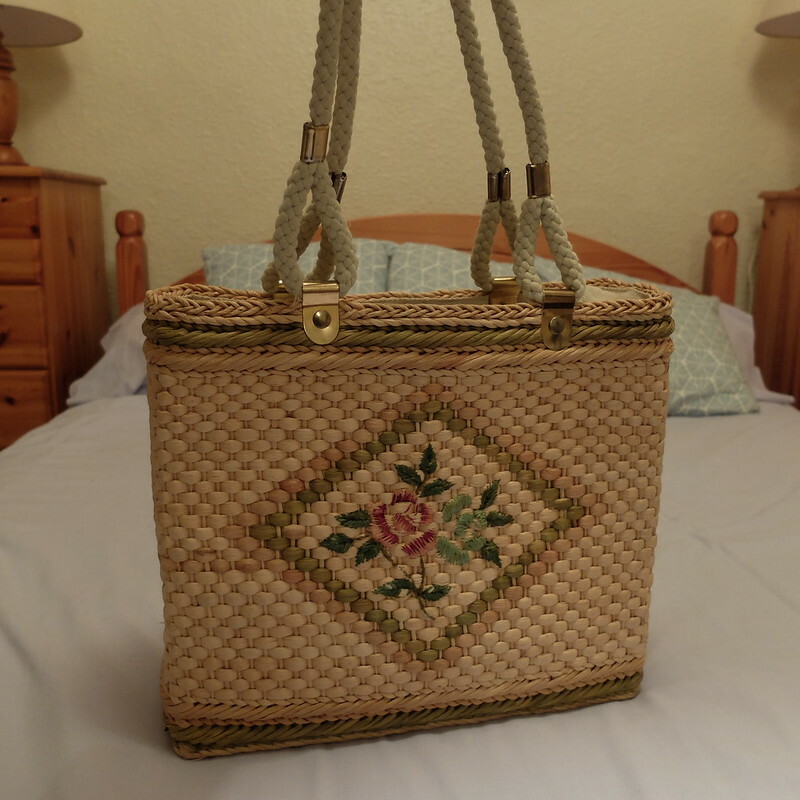 I spotted this vintage bag among crates of rubbish at a house clearance warehouse - it needed a hoover, but it's now looking pristine and is ready for the summer. I haggled it for £4. It seems bags are like buses. 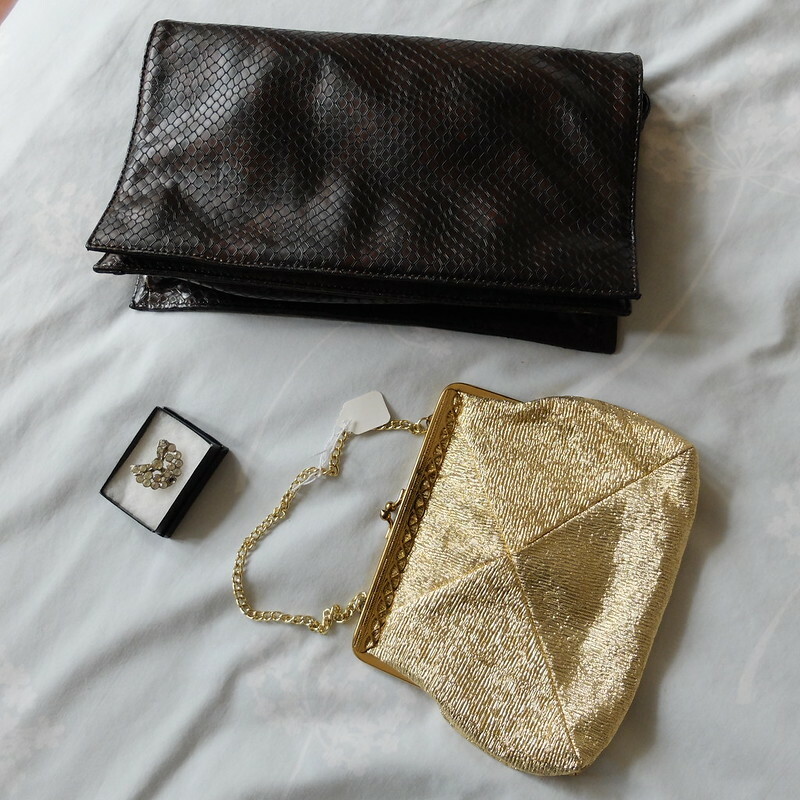 In a charity shop I spotted this super soft leather clutch from St Michael, £4, and the little mid-century gold bag for £1. The brooch was £2, and had a stone missing, but I have already glued a new one in. The same shop also had these like-new black leather t-bars, for £5. 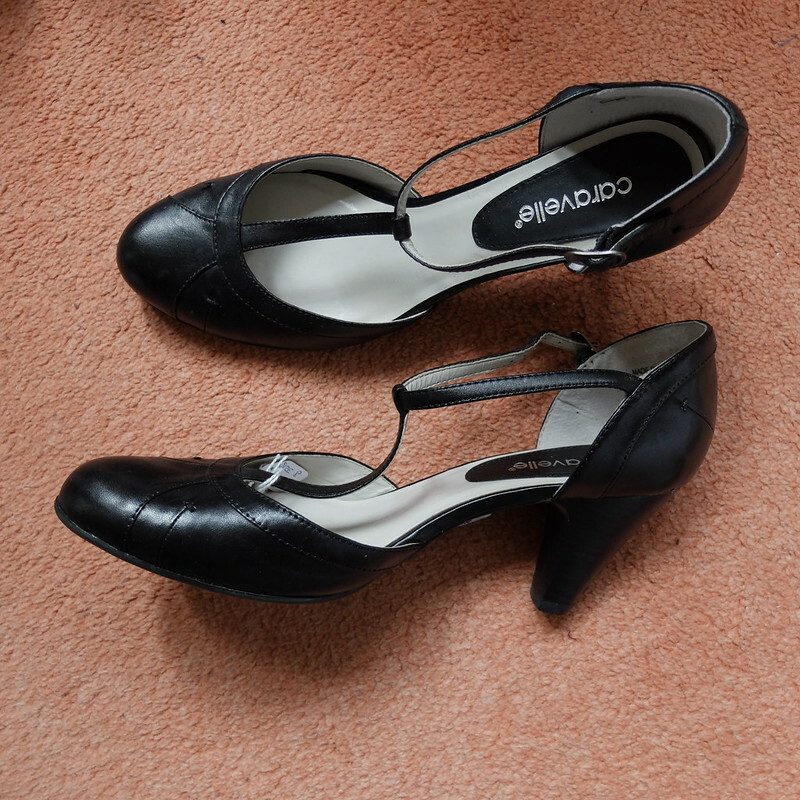 I hardly ever find charity shop shoes in my size, and they also fit really well, so they had to come home with me! The local community recycling center has old films on DVD quite regularly. 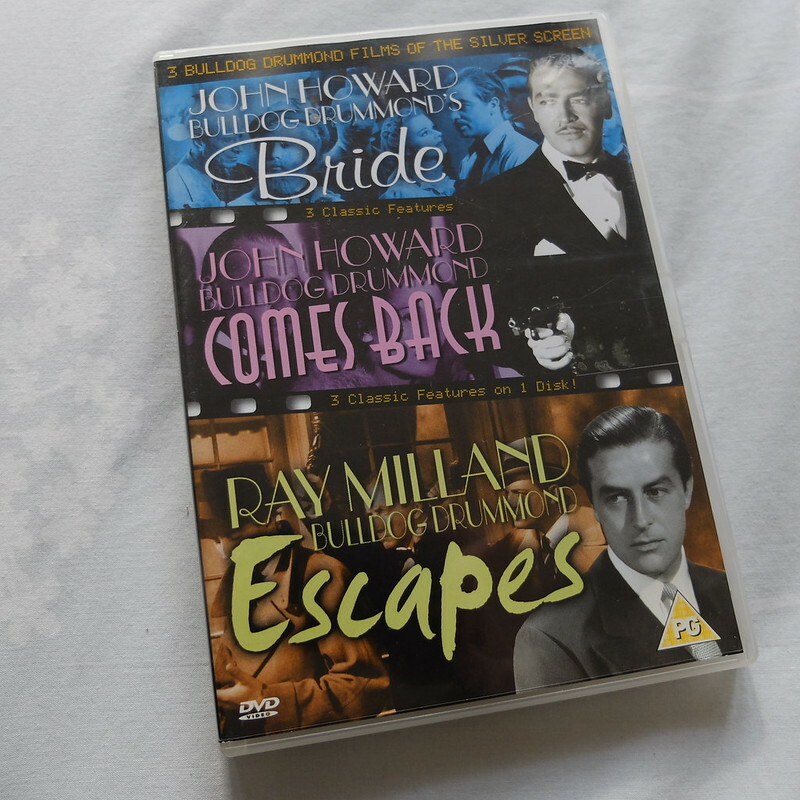 This time, I picked up a multi-disc of a few Bulldog Drummond films, £1. I hadn't heard of these before, but my Mum said she's read the books. I've watched the first one and it was a lot more slapstick than I imagined! Entertaining stuff for a rainy afternoon. 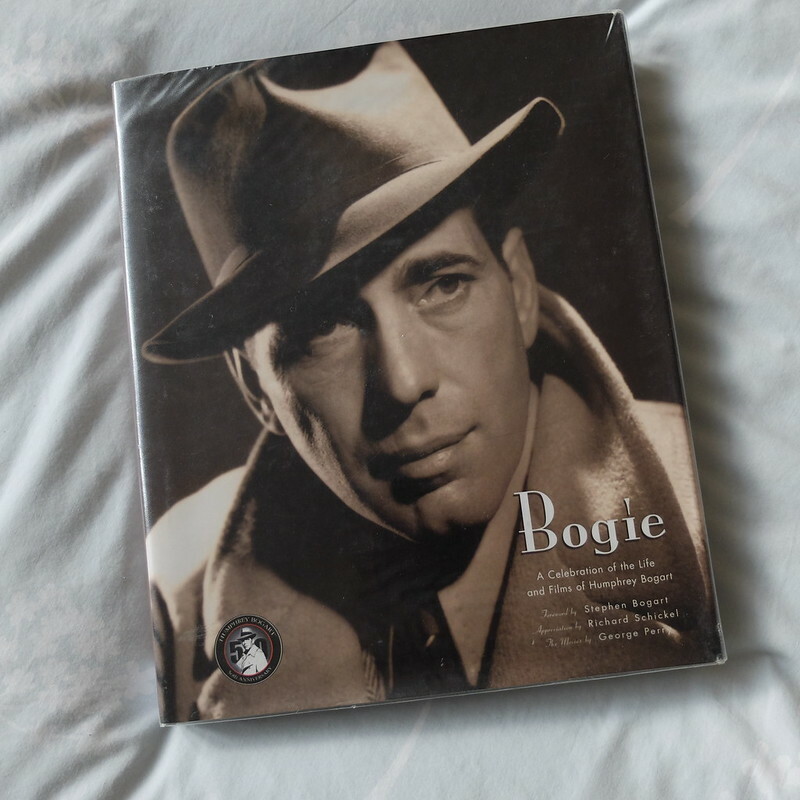 And finally, a really super hardback book on Humphrey Bogart, with lots of wonderful photographs. Just £1. I think that's a lovely selection for a total of £26. It's a cheaper hobby than going to the pub, that's for sure! What great finds! I'm always having to buy my shoes new as anything I find in my size at a thrift shop is generally worn out or absolutely hideous (and not in the good way! ), so those t bars are a dream. And what a lucky find that snowflake brooch was, such pretty stones, definitely worth paying a little more for. Can't wait to see what outfit you wear when you carry that woven handbag! I finally donated a huge load of clothing so I've been happily filling my closet with more thrift shop finds lately. Just yesterday I picked up a great 70s dress that was marked down from $5 to $1.50 and I cannot wait to wear it! What lovely things you have found. Love the first brooch, the vintage bag and the t-bars! You are a thrifting wizard. I can't believe how much good stuff you find!!! I adore straw bags as well but find I don't reach for them very often. Comfy shoes in the right size are always a great find and the wicker bag came up a treat. I need to find some charity shops near me, you've got an amazing eye. 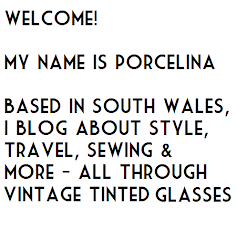 Wow Porcelina - great finds for amazing prices. I think the handbags and pin were the best. Excellent finds! I haven't had time to hit the Charity Shops for ages. I love that first brooch, it's like a snowflake! Such wonderful finds! You must have felt like a kid in a candy store! That brooch was worth every penny! what a stunner. Awesome finds! 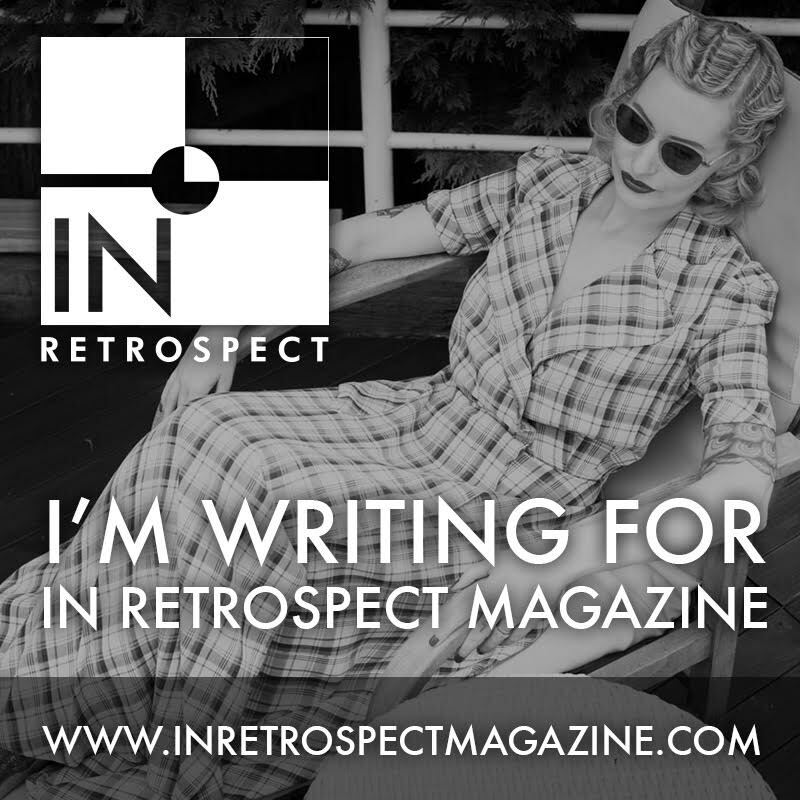 I would have splashed out on that brooch. Anything snowflake/star burst looking makes me go weak in the knees (it must be a Canadian thing, given the epic amount of snow we get here! :)). Congratulations on all of these terrific new-to-you-items, dear gal. Quite the haul! I love that first brooch you show, it's so pretty! And the shoes are quite the find, very appropriate for practically any era. I haven't had a ton of luck with cheap shopping lately, but I did get a bowling bag and a pair of 50s glasses from a vintage shop that was closing. $5 a piece! What size are your feet? I'm an 8and I never get any shoes-boo! I love your brooch and the shoes too!!! I picked up a beautiful vintage porcelain daisy brooch the other day which I am keen to wear. 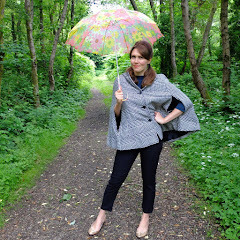 I expect it will feature in my weekly 5brooches post soon!! !